In this stage of seeking tranquility of the heart, we will be building upon the verse the above. 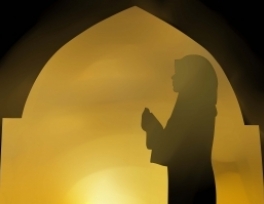 When we talked about things we need to know – such as thinking well of Allah and trying to understand tests, as well as things to do – such as connecting to Allah through our salah, making du`a’ – some comments that were received were along the lines of “I’ve already done that. But it doesn’t seem to be working.” No doubt, knowing we will face tests and trying to understand the reason behind them is crucial, because it enables us not to feel hopeless. However, difficulties sometimes make it hard for us to continue with the practice of doing things that get us close to Allah. So we must seek help not only in prayer, but in aspiring to be of the patient. It won’t come easily, because we are humans and get tired. This shouldn’t be a cause for despair, because as Sr. Yasmin reminds us, with hardship comes ease. At the same time, being of the patient is what we aspire to, because when we do reach that level, Allah is with us. What does Allah being with us mean? Imam ash-Shawkani talks about this and he says Allah can be with us in a general sense (as He is with all human beings) and in a specific sense, which entails a higher level of care and love for those whom He is with. So when we read “Allah is with the patient,” know that when you embody the characteristic of patience, Allah is taking care of you in ways that you cannot even imagine, and that He is with you every step of the way. Why should I aspire to be of the patient? It’s just too hard! Subhan’Allah, at-Tabari states that you will be given your reward without having to go through the meezan (scale) that other people will. Imagine! Another interpretation is that the reward you will be given is one without measure – only Allah knows the greatness of the reward for those who are patient. Allah (swt) also says, “And Allah loves the steadfast.” (Qur’an, 3:146) Remember how we said Allah treats those He loves? Because He is al-Wadud, Allah’s Love is not silent; it will be manifested. Not only will Allah love you, but He will show you that love. Moreover, the Prophet ﷺsaid, “There is no Muslim who is stricken with a calamity and says what Allah has enjoined – ‘Verily to Allah we belong and unto Him is our return. 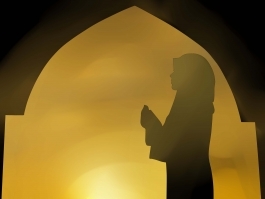 O Allah, reward me for my affliction and compensate me with something better’ – but Allah will compensate him with something better.” (Muslim) Recall the story of Um Salamah, who was so grief-stricken when her husband was killed. The Prophet ﷺtaught her these words and she said “Who could be better than Abu Salamah?” So Allah gave her the Prophet ﷺ. Does patience mean I just have to wait around? Sometimes we think being patient means doing nothing. Someone tells us “be patient!” and we say “give me something practical to do!” but if patience was not practical, Allah would not have told this to all of the Prophets (as) in the Qur’an. We just need to understand what patience really is. This means perseverance. The Prophet ﷺtold us “Know that with patience comes victory” (Tirmidhi). Does this mean victory comes by sitting and waiting for it? Of course not. The sunnah of the Prophet ﷺshows us that this is not the case, because he strived to do good, and as he persevered (i.e. he was not impatient in the sense that he expected the result to be immediate) Allah gave him victory. Patiently persevering in doing good takes many forms: it can be anything that is praiseworthy in the religion – whether it is acts of worship, our relationships with people, etc. It is sometimes tempting to return like with like. If someone is rude to us, let’s try to be like Allah’s Name As-Saboor (The Patient). Despite all the wrong that we commit, He is patient with us and does not punish us immediately. If we appreciate this patience from Allah, should we not try to have the same kind of patience with people? Allah (swt) wants us to strive for this kind of patience. For example, with the issue of qiyam al-layl (the night prayer), the Prophet ﷺhas told us, “Whoever goes to his bed intending to get up and pray at night, then his eyes overwhelm him and (he sleeps) until morning, the (reward of) that which he intended will be written for him, and his sleep is a charity for him given by his Lord.” (An-nasai, Ibn Majah) Why did the Prophet ﷺtell us this? So that we never give up; we are patient with our weaknesses and continue to strive. This is what patience is. One of the types of people who is given shade on the Day of Judgment is the person who is tempted into fornication but resists and says “I fear Allah!” (Bukhari) It is much easier to fall into sin. But one who constantly prevents himself from doing bad, can be of the people who is beneath the shade of Allah. This requires patience and conviction; despite the hardship, we are doing something that is beloved to Allah. Nowadays we are taught to strive to achieve what we want no matter what. Although having ambition and drive is good, it should not be by compromising our ethics. We may have to face setbacks now and then, but when we remember that our aim is for the akhira and not simply the dunya, patience is easier to inculcate. The Prophet ﷺtaught us that “patience is at the first stroke of a calamity.” (Bukhari) It is not easy to bear bad news and not lose it or break down. It is even harder to prevent ourselves from questioning something that is so, in our eyes, blatantly bad. Why? But as we said before, there is a reason for tests. This is why we are taught in the Qur’an to say “To Allah we belong and to Him we return” so that when are afflicted, we remember that nothing is outside the realm of Allah’s knowledge, power and mercy. He knows this is happening, and there is a higher purpose to it. The Prophet ﷺis the best example. Despite being exiled from his home, losing his loved ones, being abused and suffering near starvation, he never wavered in his character. He was patient in doing good, patient in refraining from evil even when he was tempted with wealth and women, and he was patient when afflicted with calamity. All of his children died in his lifetime except Fatima (ra). He lost his wife and two of his uncles whom he loved dearly. Those who followed him were tortured. Yet he persisted in praying in the night, was described as always smiling and never hesitated to help people. His patience was in perseverance and never questioning the will of Allah. Look at Prophet Ayyoub (as), who was not only patient with his affliction but he was content! He lost all fourteen of his children, his wealth and the companionship of the people because of his disease. Yet when he was asked to supplicate for Allah to heal him, he said “Allah gave me 50 years of blessings, should I not be patient with the same number of years of hardship?” He never complained of his illness. Of course, we should always ask Allah to help us (and Ayyoub (as) finally did) but what we should take from this is he wasn’t angry with Allah and never questioned His will. Finally, ‘Urwah ibn al-Zubair (ra), one of the companions, had to have his leg amputated. While he was being visited by a friend, he said, “If you came to give me condolence for the loss of my leg, I already submitted to Allah with patience to reward me for its loss.” But the guest told him, “I came to inform you that your son fell down in a stable, and the animal stepped over him, and he passed away.” What would be the response of ‘Urwa of that moment? He said: “O Allah! You took one child, and left me many…You took one organ from my body, and left me many organs…O Allah! You tested me with my body, and you were kind to leave me with good health. You tested me with the loss of my son, but you were kind in leaving me the rest of my children.” Subhan’Allah. May we all be of the patient!